Our new video galleries make it easy to leverage the power of video content in a beautiful way. Whether you house your videos in YouTube or Vimeo, this new feature lets you display your videos by simply copying and pasting your video URLs into the video gallery content block. Your video titles and descriptions are automatically imported, so your website viewers can quickly see what your videos are about. 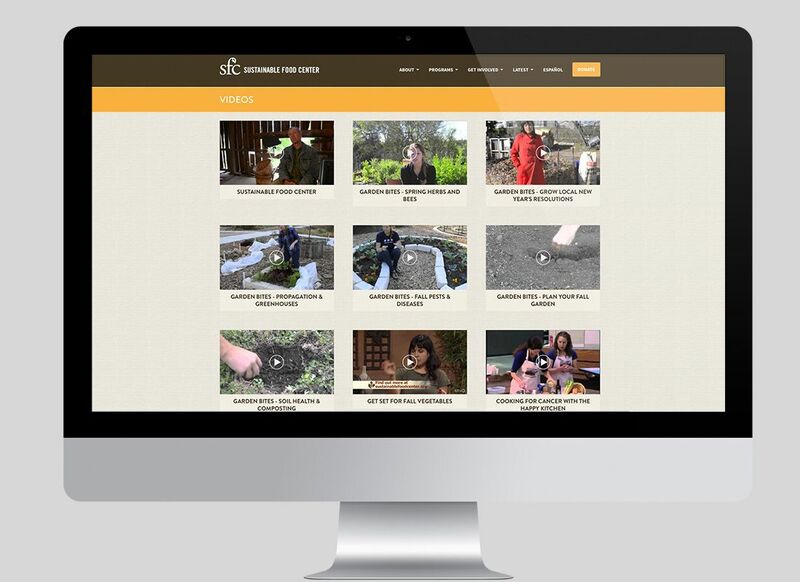 See our video gallery functionality at work on the Sustainable Foods Center website. 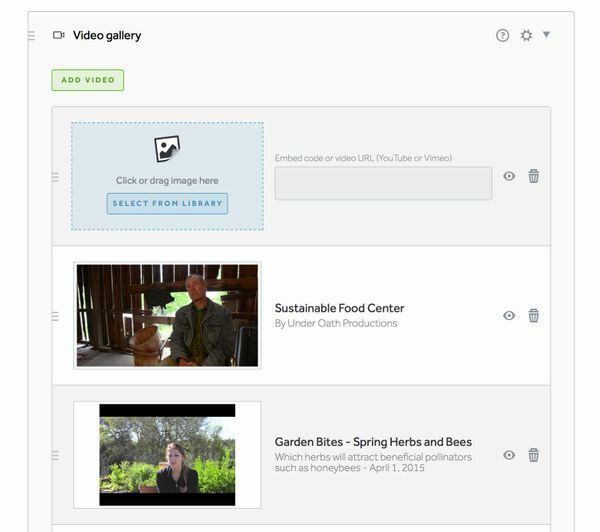 After you've added your videos, our user-friendly design tool lets you customize the look of your video gallery. Choose between 7 video gallery layouts, adjust your video height, add animation effects and more. For step by step instructions on how to use this exciting new feature visit our support library. Have an idea for a great new feature? We invite you to reach out and let us know what we're missing! We love hearing feedback from our customers and want to continue building our platform with the tools and features you need to create beautifully effective websites.